The match went into extra time and finished with a 2-1 win for Arsenal, thanks to last minute substitute Eddie Nketiah, who bagged his second goal. Leslie joined in with the home crowd chant of 'Eddie! Eddie! Eddie!' to celebrate the win. 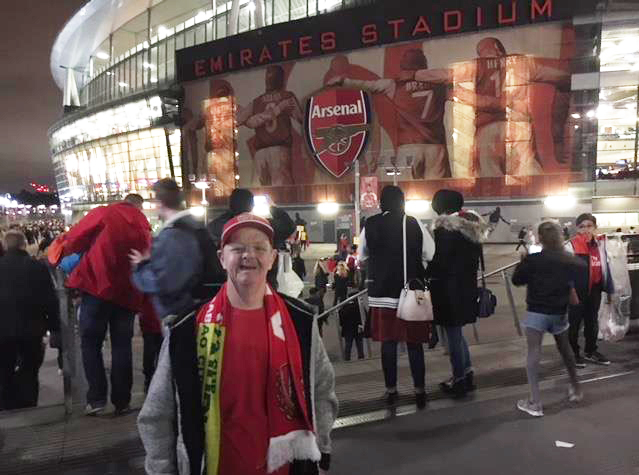 The nail-biting climax and final victory helped Leslie to have a fantastic first Arsenal experience!